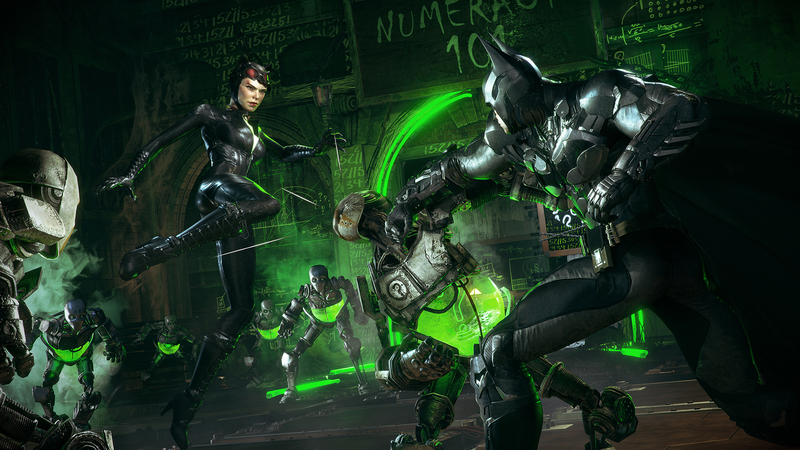 Rocksteady has released the second Arkham Insider episode for Batman Arkham Knight. which offers an in-depth look at the dual-play feature in action. The video showcases an amazing battle as Batman teams up with Nightwing to take down a whole room of enemies. The video continues with a bit Q & A which discusses some interesting aspects of the game. Arkham Insider Episode 2: In this episode, we bring you exclusive new gameplay of Dual Play Combat in Batman: Arkham Knight, as Batman and Nightwing team up to take on Penguin’s thugs. We also answer some questions from Arkham community super-fan CabooseXBL. Arkham Insider is a new video series direct from Rocksteady Studios, bringing you exclusive new gameplay, developer insights and a look behind the scenes on the development of Batman: Arkham Knight. Coming June 23, 2015, Batman: Arkham Knight is the epic conclusion to Rocksteady’s Batman: Arkham Trilogy. Batman Arkham Knight is shaping up to be the best adventure of the caped crusader yet. With a mature and deep story and an incredibly advanced fighting system, as is quite evident in the “All Who Follow You” trailer as well as in the “Officer Down” trailer, it will most likely be one of the big contenders for Game of the Year. Batman Arkham Knight PC System Requirements were revealed, and they do seem pretty demanding. Sefton Hill, Game Director of Batman Arkham Knight and co-founder of Rocksteady Games recently confirmed on Twitter that the game will definitely be releasing on June 23 2015, promising no more delays. Batman Arkham Knight is set to release for the PlayStation 4, Xbox One and PC. We will bring you any new information prior to its release as soon as it becomes available. Be sure to check out our previous Batman: Arkham Knight coverage for more information on the game, here and here.